Joseph M. Paprzycki, founder of the South Camden Theatre Company. The founder of the South Camden Theater Company, Joseph M. Paprzycki, likes a little grit with his drama. And he doesn’t mind topical controversy, either. “Another Round,” a play on words for both the drama’s setting in a bar and the police shooting incident that ignites the drama, reads as if it were drawn from recent events. That’s part of the reason he’s chosen the play for a staged reading before the theater’s full season kicks off in the fall, the theater’s 11th season. The free reading is set for 7 p.m. July 27, with a talk-back session between the audience and the dramatist, followed by a wine and cheese reception. The play is set in a fading neighborhood cop bar on the eve of a court decision, with a white cop charged with wrongfully killing a black teen holding a pellet gun. “There’s always a day where someone or something can push you to the edge and make you do something you’d never see yourself doing, not capable of doing,” the accused officer confides to his friends. And finally the bar’s owner, a woman who is the daughter of a cop and also the mistress of the accused cop. “I thought I was immune from your attacks, but I should have realized even pets bite their owners every once in awhile,” she says at one point. As topical as it sounds, the first draft of the play came to J. Adam Russell — a former police officer with a master's in fine arts in playwriting (pictured below) — 14 years ago. And while it has been reworked six or seven times since, the Abington resident has often put it away for long periods. He saw the solicitation for the reading at South Camden Theater Company and jumped at the chance for the ear of an audience. The reading and feedback is meant to allow him a chance to focus the play on what works best. “You write what you know,” says Russell, who works for the University of Pennsylvania in administrative support for the engineering department, but keeps plugging away on plays, his passion. “In the end, each of the characters discovers their flaws and each is destroyed,” he says, each of the four held captive by the expectations of others. He also liked the familiar setting of a neighborhood bar that easily could be a Camden taproom. After all, Paprzycki’s unlikely little theater is built on the footprint of his grandfather’s bar in a blue-collar Camden neighborhood that withered when the city’s industrial jobs went away in the late 1960s and the town suffered through two riots. The free staged reading is at 7 p.m. July 27 at the SCTC, 400 Jasper St., Camden. A talk back with the dramatist and a wine and cheese reception, follow the presentation. Click here for more information about the theater. For information about South Camden’s founder, Joseph M. Paprzycki, visit his site. And for information about the playwright, J. Adam Russell, visit his site here. The last riot, in 1971 when a traffic stop by two white officers ended with a Hispanic man dead, tore the city apart. The wounds from those three days of looting linger in Camden today amid neighborhoods still untouched by the revitalization and redevelopment edging back into the Waterfront and Downtown. “We want controversial. We don’t shy away from it. It is a good fit. I know there are a lot of guys who are cops who are coming,” says Paprzycki. 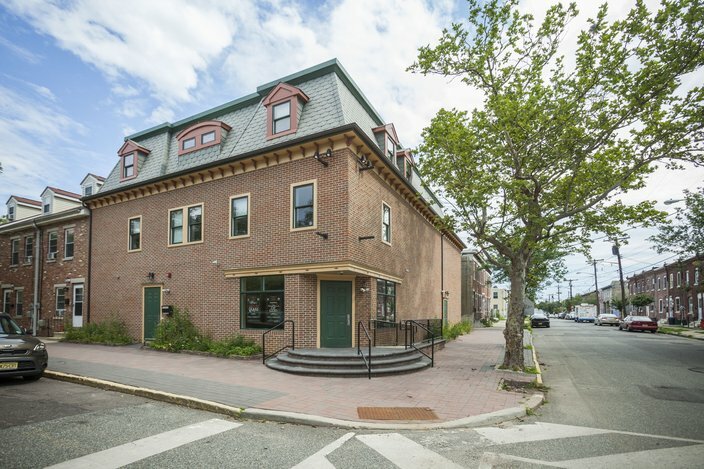 “Safe isn’t South Camden,” theater’s style, he adds. Russell, who became a cop to “pay the bills,” is looking forward to the reactions of police officers. “I welcome them. I don’t think they’ll be surprised,” by the story; though he thinks some might be happily surprised by an exposure to theater. “These sorts of things have occurred for decades,” but the technology of cell phone videos and social media have changed the dynamic of such incidents, says Russell. “Before, it was washed down. Now there is more knowledge that this is happening and things are not always as they seem,” says Russell. The playwright declines to reveal his age, saying success has not found him early. Paprzycki understands Russell’s trepidation: He wrote his first play, performed in a nearby church’s basement, in his mid-30s. 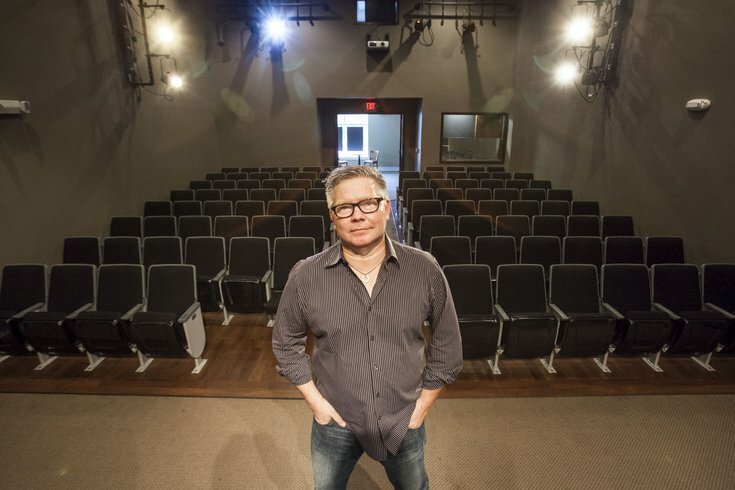 Now he’s written more than 50 plays and his theater is a large part of the South Camden neighborhood’s revitalization. Paprzycki’s hopeful his recent play, “Express Tracks,” might make the jump to New York. That play evolved from a staged reading to a full-blown production at South Camden that pulled in big audiences last season. Then there’s the play he has in his mind’s eye, which he hopes to write while on vacation in Provincetown this month. 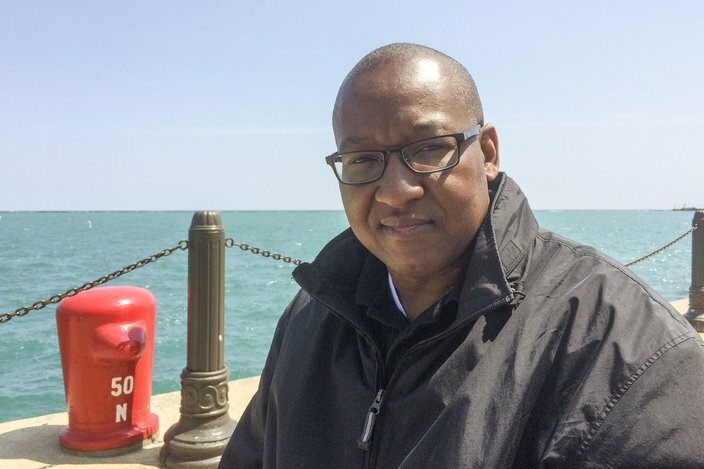 “If you can’t write facing the lighthouse that inspired Eugene O’Neill and the view that inspired Tennessee Williams, you don’t deserve to call yourself a playwright,” says Paprzycki of his own summer writing plans.